A baby shower is a magical occasion filled with happiness and joy. However, the lead up to this special event isn’t always as enjoyable as the day itself. 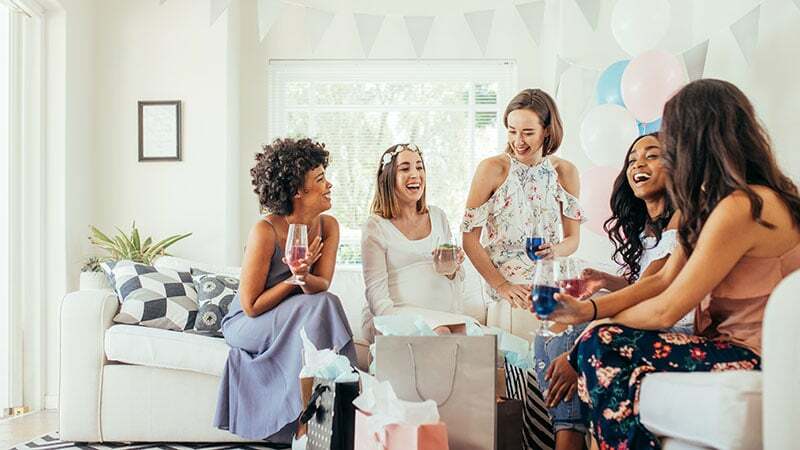 After all, planning the perfect outfit for a baby shower can be somewhat tricky and stressful, especially if the event is your own. Thankfully, we can help you make it to that joyous day without any bumps (except the one that’s meant to be there, of course). To ensure you have an outfit that’s as memorable as the occasion itself, we’ve rounded up an assortment of incredible baby shower dresses for stylish mums and guests. 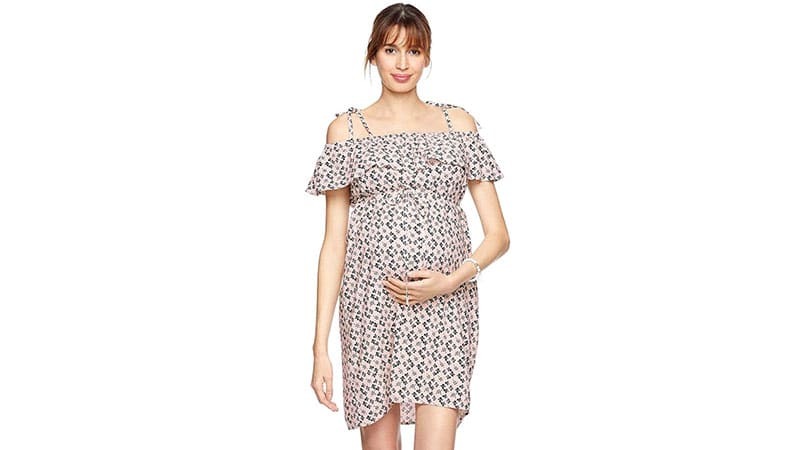 Today there are many chic maternity dresses for baby showers. So, if you’ve got a little one on the way, you’ll have plenty of fantastic styles to choose from. Just remember to try and strike a balance between feeling comfortable and looking stylish to maximise your enjoyment. Also, keep your look light and fun, as well as suited to the theme of the occasion. In particular, soft colours, feminine florals, lace, and cute prints are always fantastic options. However, don’t be afraid to tailor your outfit to suit your personal style. Stylish maternity dresses are nowhere near as hard to come by today as they used to be. 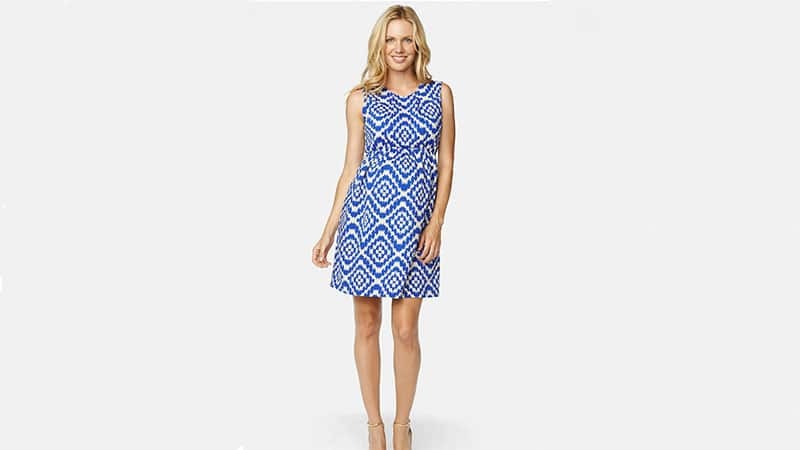 As such, there’s no reason why you can’t rock a gorgeous, on-trend dress to your baby shower. To do so, just remember to embrace trends while maintaining an appropriate aesthetic. From off-the-shoulder styles to statement sleeve designs, many fashion looks work perfectly for such an occasion. 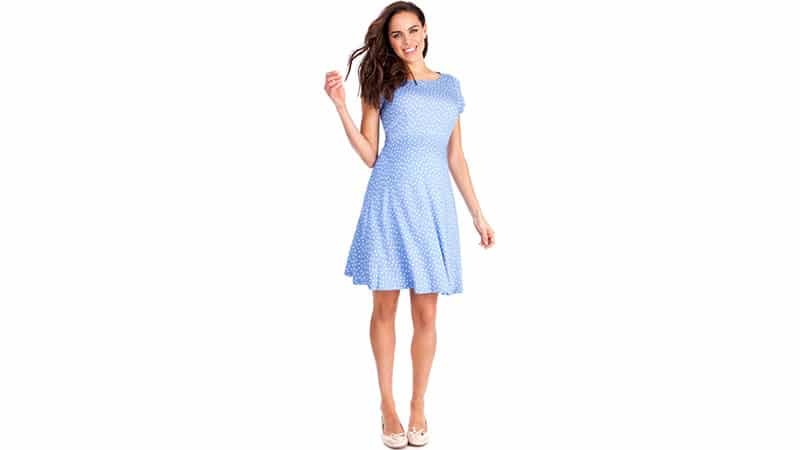 Your baby shower is the perfect time to wear a cute maternity dress. To do so, try selecting a lovely floral style or a design with ruffle details. Also, think about the cut of your dress. One with an empire waist, which sits just below the bust, will show off your baby bump in a sweet way. For curvy moms-to-be, there are some beautiful plus-size maternity dresses available. Maxi dresses with empire waistlines are particularly flattering and can look fantastic in block colours and prints. 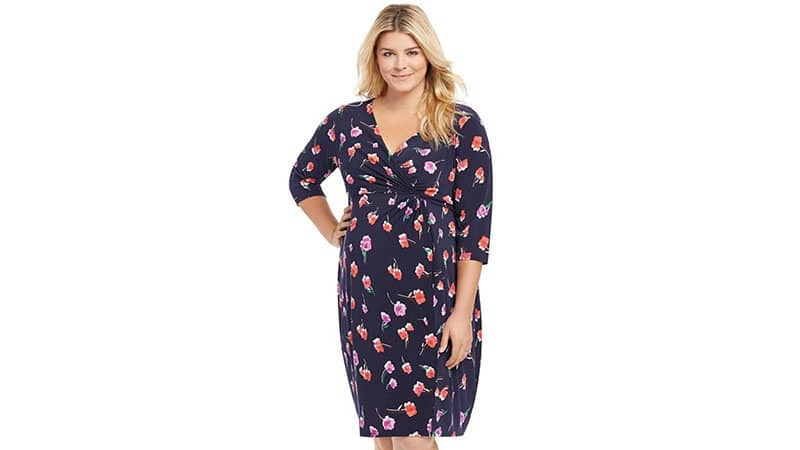 For those having trouble finding plus-size maternity clothing, you can consider trying a general plus-size dress with an elastic or tie waist to accommodate your growing bump. Thanks to their classic and pretty appearances, white maternity dresses make fantastic choices for moms-to-be at their baby showers. Best of all, there are many chic styles from which you can choose. Not sure which to pick? Try fitted styles for a sophisticated appearance or looser cuts for a cute look. Pink baby shower dresses are perfect for those welcoming a little girl into their life. To rock this lovely colour, just choose between soft shades for a chic and feminine look or brighter hues for a fun and vibrant aesthetic. Who says moms-to-be have to wear soft colours? A red baby shower dress can make a seriously stylish choice for expectant mothers. The fiery shade is an unbeatable statement hue and perfect for those who want to feel extra special at their baby shower. Are you having a baby boy? Why not wear a blue baby shower dress to show off the new little man in your life? Wear baby blue for a classic look or try navy or cobalt for a more modern appearance. All eyes are sure to be on you when you arrive wearing a gold baby shower dress. Perfect for decadent celebrations, a gold dress is glamorous and statement-making. You can also add sequins or embellishments for even more eye-catching drama. If your baby shower is in winter or fall, it’s important to dress appropriately for the season. Selecting a style with sleeves makes a particularly smart choice that will keep you warm while maintaining a polished aesthetic. Also, opting for thicker fabrics and a length that finishes at your knees is ideal. Don’t forget about colour, either. Subdued and dark block hues, such as navy, tend to be more suitable for cold weather than bright shades and vibrant prints. 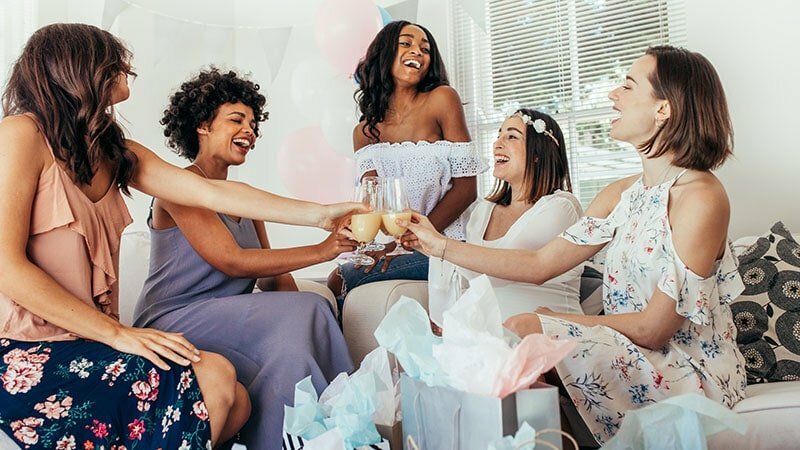 Is your baby shower in summer? Don’t panic. 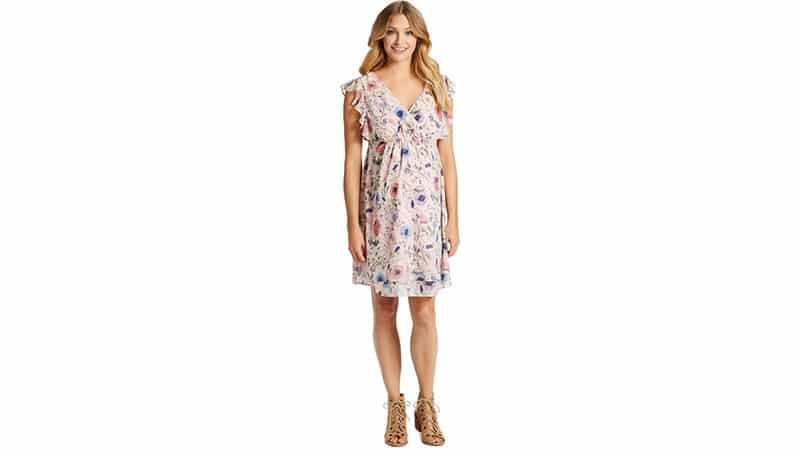 There are many fantastic maternity baby shower dresses around that can help you beat the heat in style. Lightweight designs with short sleeves are particularly ideal for keeping you cool. When it comes to aesthetics, select something that is light, bright and fun, such as a colourful floral design. Lace dresses project a lovely, romantic appearance that is perfect for a baby shower. To wear a lace baby shower dress, just select whether you want one covered with the material or accented in one area. Then, choose from a range of colours and styles, including chic bodycon designs and cute skater styles. Long maternity dresses can be fantastic for a baby shower. Not only do they appear elegant and chic, but they can also be incredibly comfortable. Just pick a flowing maxi style in a gorgeous shade or print to nail the look. While many moms-to-be choose to wear a long dress for their baby shower, shorter styles can look just as gorgeous. However, as short dresses can easily appear casual, it’s essential to select a statement style. Dresses, such as those in bold hues, with unique cuts or featuring embellishments, are ideal for the occasion. If you’re after a baby shower dress to wear as a guest, you’re in luck. There are countless gorgeous designs available for this special occasion. To nail your look, just stick to styles that are feminine in appearance, such as those in pastel hues, featuring floral prints or that are made of lace.